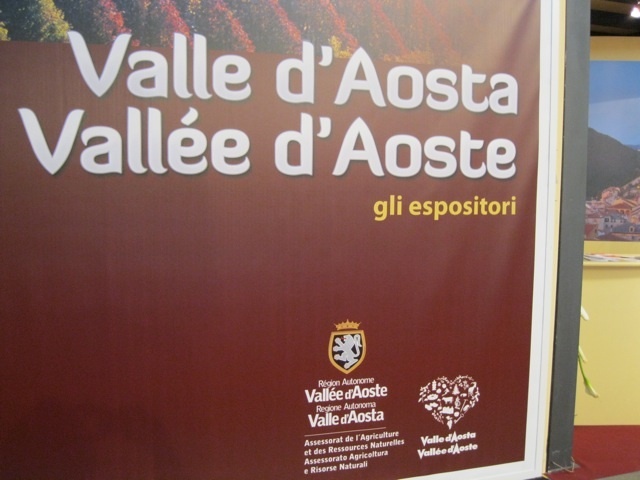 This week’s variety hails from the Valle d’Aosta. While last week I was imagining myself on a sailboat, with today’s weather, skiing in the Valle d’Aosta is more appropriate as a destination. I have had amazing experiences in Courmayer, La Thuile-Gressoney Saint-Jean, Aosta-Pila and mostly in Cervinia. I love the Valle d’Aosta and because I lived in Milan, I got to spend many a happy weekend skiing there during the years I lived in Italy. I also spent a lot of time drinking the local wines whether they were white or red. The whites are easy to drink and I’ve written about many on my blog over the years, such as this post or this one. The reds are also wines I enjoy. This particular grape variety is a red grape from this region that produces a rustic, spicy, medium-bodied wine with fruit and earthy notes. It is used in the Valle d’Aosta D.O.C. which can also be spelled “alla francese” Valle d’Aoste. Grosjean makes a Cornalin d’Aosta to be tried if you have the chance called Vigne Rovettaz. It would be perfect with cheese right now maybe even Fondue if I was going to make it. The vineyards in the Valle d’Aosta are at an incline of 20%-70% so all the grapes in this wine are handpicked. It matures in stainless steel. The wine is sold by here and retails for around $30. Here’s an interesting piece on the Valle d’Aosta by Eric Asimov and another fun piece by Stevie Stacionis for Serious Eats on the grape variety and its origins. If you haven’t visited the Valle d’Aosta, try to go there at least once in your life whether for the wines, the skiing, the castles, the hiking or the food. I love this part of Italy and its beautiful sky, mountains and fresh air. Driving in that region at night on the way back to Milan was always magical, dark with hundreds of stars. Something I have seen only in Colorado in the US and Chile in South America. I always felt closer to the sky and the universe on nights like that.